Celebrate Presidents Day on holiday! With our President Day selection of offers, you can find the perfect way to celebrate the years of history and tradition marked by the national holiday. 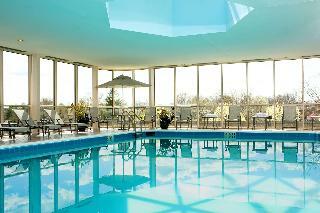 This charming hotel is situated in Dulles Airport. The accommodation features a total of 142 rooms. Travellers will not be bothered during their stay, as this is not a pet-friendly hotel. This hotel is located at the heart of northwest Chicago's Greater Woodfield area. Guests will find themselves just a short distance away from the downtown area of the city, where they can enjoy a show at the Metropolis Performing Arts Centre, indulge in some retail therapy at the Woodfield Mall or revel in the excitement at the Arlington Park Racetrack. This wonderful hotel welcomes guests with warm hospitality, elegance and luxury. The guest rooms exude splendour and grandeur, bathing guests in comfort and style. The rooms feature modern amenities for added convenience. Guests are invited to take advantage of the exemplary facilities and services that this upscale hotel has to offer. This charming hotel is situated in Suburb. This hotel offers a total of 118 units. Guests will not be bothered during their stay, as this is not a pet-friendly accommodation. This family-friendly airport hotel is situated approximately 27 km from the centre of San Francisco. A broad range of dining and shopping venues are easily accessible. The hotel is located minutes away from San Francisco International Airport. A complimentary shuttle service to the airport is offered 24 hours a day. This recently renovated hotel offers a sense of casual elegance with upscale amenities and services. This air-conditioned hotel has 309 rooms and it features a lobby with 24-hour reception and check-out service. In addition, guests can take advantage of a full service restaurant, complimentary Internet access in the guest rooms and public space. The beautifully decorated rooms are fully-equipped including a large TV and individually regulated air conditioning and heating. Leisure facilities include a gym, an indoor swimming pool and a hot tub. 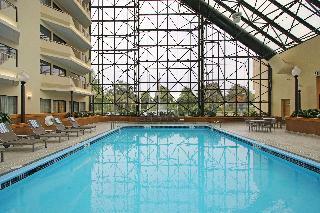 The hotel' is conveniently located with close access to the Hamptons, New York City, in the heart of Long Island. This is a first-class full-service city hotel situated in the heart of the Melville business district in the centre of Long Island, New York. The renovated rooms and suites at this luxurious hotel provide an ideal retreat in a relaxed, comfortable setting. The hotel has air conditioning and welcomes guests in the lobby, which offers a hotel safe and lift access to upper floors. 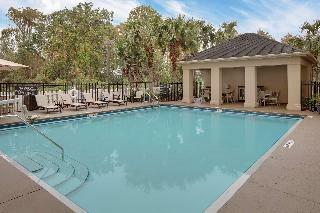 The establishment features a seasonal outdoor pool and an indoor pool that is open all year. Guests can also take advantage of the state-of-the-art fitness centre or the lit tennis court. After working in the business centre, guests can watch an on-demand film in their room. Each guest room offers a 27-inch satellite/cable TV, tea and coffee making facilities, ironing set and a hairdryer. We are happy to enjoy a stay at our smoke-free Holiday Inn Express Geneva Finger Lakes where you can enjoy everything our stunning area has to offer. Explore the local state parks or enjoy an afternoon sipping wine at any of our award winning wineries.Take a tour of the Wine Trails surrounding Seneca, Cayuga, and Keuka Lake, or simply enjoy the outdoors with boating or swimming at Seneca Lake State Park. Our Geneva, NY hotel is close to Geneva's downtown shopping and restaurants and close to fantastic discount shopping at the Waterloo Premium Outlets. We offer comfortable and convenient accommodations for visitors to Hobart and William Smith Colleges, both just minutes from our Geneva, NY hotel. If it is space that you crave, then we have that too!! 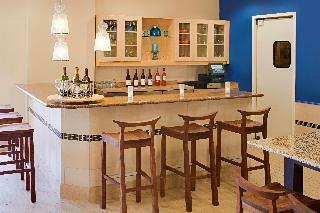 Enjoy our spacious suites that feature mini refrigerators, microwaves, and wet bar area. Spanning 28 beautifully- landscaped acres, the DoubleTree by Hilton Orlando at SeaWorld is an official SeaWorld Partner hotel and located in the heart of Orlando's theme park and entertainment district. In addition to our comfortable and well-appointed guest rooms, the DoubleTree by Hilton Orlando at SeaWorld features a wealth of on-site amenities designed for families including including a SeaWorld themed putt-putt golf and 2 sparkling outdoor pools. There's also a children's activity center and a seasonal schedule of children's activities. Enjoy a delicious meal with both indoor and outdoor dining options. From a quick bite to healthy options, a drink at the poolside bar, or indulging in gourmet food, we have something for you. Designed as a luxurious tropical paradise, guests will find lush tropical landscaping, brick-lined pool decks and walkways along with other amenities to enhance your visit. A complimentary scehduled shuttle service to neighboring SeaWorld parks and Universal Studios is available. *Resort Fee: direct payment at the hotel. A home base for visitors to Orlando MaitlandWelcome to our Homewood Suites by Hilton® Orlando-Maitland hotel. Located in the Maitland area of Orlando, our all-suite Maitland hotel provides a great base to discover downtown Orlando, Winter Park, Altamonte Springs, and fantastic shopping, dining and entertainment opportunities at downtown Disney and Daytona Beach. Enjoy all the comforts of home in a spacious suite, offering a clean and fresh bed, free high-speed internet access and a fully equipped kitchen.Enjoy a warm welcome at the Homewood Suites by Hilton® Orlando-Maitland hotel and make yourself at home in one of the cozy suites. Indulge in an included hot full breakfast and enjoy friendly, helpful service at our welcoming Orlando hotel. Rejuvenate in the fitness center and outdoor pool, or enjoy high-speed internet access in the 24-hour business center with printing facilities, and a video and book library at our Homewood Suites by Hilton® Orlando-Maitland. This charming hotel can be found in Florida Mall Area. Customers will find the airport within 11. 6 kilometre(s). The establishment comprises 120 cosy units. 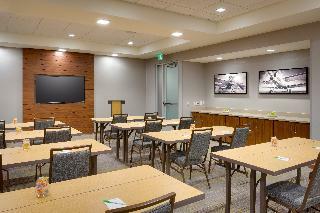 Home2 Suites by Hilton Orlando South John Young Pa offers wired and wireless internet connections. Visitors will appreciate the 24-hour reception. The premises offer accessible public areas. This is a pet-friendly hotel. There is a car park. 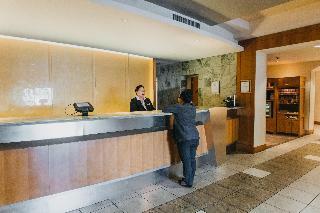 The hotel offers business facilities. Some services may be payable. Choose a city break to suit you! The 18th of February 2019 marks the Presidents Day, which means an American national holiday! Make the most of the national holiday and take advantage of the best offers on the web with Hotelopia!